Next on The Scoop: Do Cats Know Their Names? An interesting thing happens when your feline friend approaches his first birthday. Your cat begins to move out of kittenhood and enter his adult years — but he’s still not technically an adult cat. Though his body is fully developed and he is physically mature, your 1-year-old cat may still show many kitten-like behaviors. As your cat enters this exciting new phase, slightly adjust his care to best meet his needs. 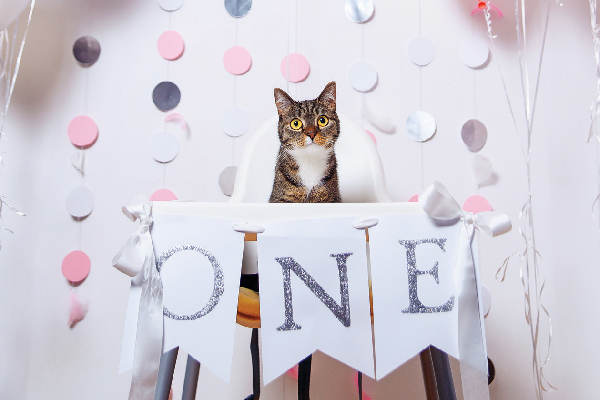 Read on to learn what to expect at your 1-year-old cat’s annual vet visit, how you can feed your 1-year-old cat the best possible diet, effective ways to corral your cat’s bursts of energy and more. 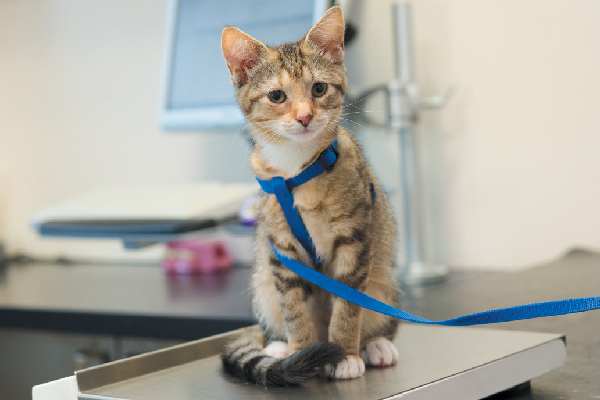 What should you know about your 1-year-old cat’s vet checkup? Photography ©SednevaAnna | Getty Images. When your cat nears his first birthday, schedule a checkup with the veterinarian. At this visit, your vet will likely recommend transitioning to an annual veterinary visit schedule and will perform a “well check,” thoroughly examining your cat for any signs of illness. Your vet probably will also recommend that you schedule an annual dental cleaning for your 1-year-old pet and will administer any updates or “boosters” to your cat’s vaccinations. If your cat has not yet been spayed or neutered, consider these surgeries now to prevent medical issues related to the reproductive organs (as well as unwanted litters of kittens). At your cat’s one-year checkup, mention any changes in your pet’s behavior or habits, as these can indicate health issues. A healthy, 1-year-old cat retains much of the youthful characteristics of a kitten, including curiosity about his surroundings and a love of play. 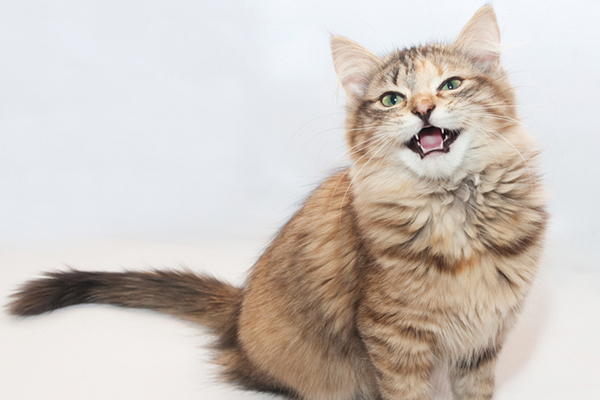 If your normally outgoing cat has recently become withdrawn, your vet will want to know. At the one-year appointment, your vet also can suggest how to gradually transition your “junior” from a kitten food to an adult formulation. In general, provide your cat with a food formulated for adult cats, and then introduce the new food little by little over a 7- to 10-day period. Many manufacturers offer a full range of foods for all feline life stages, so you will likely find a food similar to what your cat is already eating from a brand you already trust. If you have noticed any changes in your cat’s appetite prior to the vet visit, mention this to the veterinarian. Such changes can indicate health issues, so you will want to rule out any problems! Though your cat now occupies a fully-grown body, he likely still retains the playfulness and curiosity of a kitten. As such, he needs daily stimulation to keep from becoming bored — and potentially destructive. One of the best ways to occupy the curious mind of a 1-year-old cat is with regular playtime. 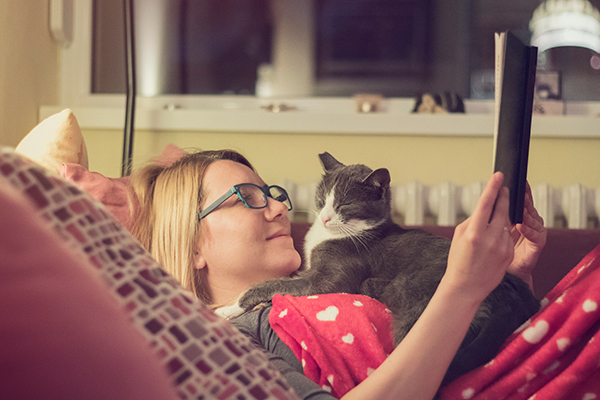 While your cat certainly can find ways to entertain himself, interactive play is now — and will remain throughout your cat’s life — an important part of your relationship as cat and owner. Pam also recommends looking for toys that consider your cat’s individual preferences while meeting basic safety requirements. She suggests removing loose pieces that can be easily chewed off and ingested (such as glued-on eyes or ears) and avoiding toys that may snag claws. Additionally, be aware of the size of the toy. You don’t want to intimidate your cat with a large toy that looks more like a predator than prey! Then, with safe toys on hand, schedule time every day (even if it’s just 15 minutes) to play with your cat. The exercise will stimulate your cat’s body and mind, and the time together will help strengthen your bond. Brushing: Depending on your cat’s hair length, brushing can be anywhere from a daily to a weekly routine. Bathing: This may not be a weekly routine unless your cat is hairless. Hairless breeds like the Sphynx need weekly bathing to remove the oil that builds up on their skin. Nail trimming: Trim the tips of the sharp nails every 10 days to two weeks. Tooth brushing: Try to brush your cat’s teeth three times a week if not daily. Ear cleaning: Check your cat’s ears weekly to see if they need grooming. Earwax builds in some breeds more than others. Use praise and short, gentle sessions to introduce these grooming elements. Thumbnail: Photography ©GorynVD | Getty Images.